Beware of . . . this school?! Henry is taking his new classmate on a whirlwind tour of their school. Mysterious inventions lurk, the cafeteria requires ninja skills, and some teachers may be monsters! 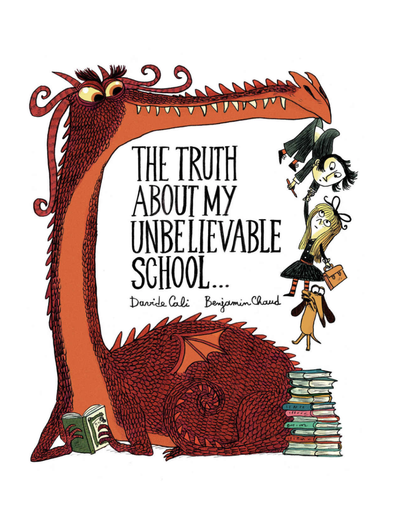 Is this fantastical school to be believed? Or is there an even more outrageous surprise in store? "Overflows with clever details and hints of the story's surprise ending.. Henry's adventures blur the line between imagination and reality, and kids will willingly believe in his escapades." "Readers may wish their own schools looked more like this one."